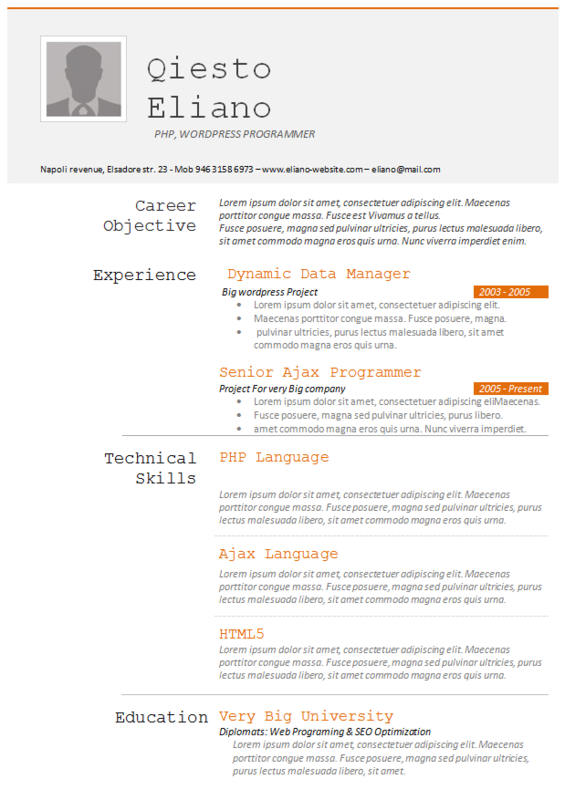 And because this resume is created in Word format, you can manage design of it in various ways. You can start with color scheme change and end up with changing areas, used for your personal information and skills. There is also space left for your own picture. Based on amount of information that you would like to show to your HR interviewer, this resume template can be either single page or multi-page. And by default it is set-up to fit on A4 paper size format. So in couple of minutes spent working on this template, you can have nice and simple resume that you can send out to the outside world. And because it is the file is in archive package and in .doc format, size is very small – less than 1 Mb. If you would like to visit authors website of this template here is the link.